Beautiful things emerge from difficulty. The dirt and compost of hardship build the roots with waters of truth, strength, determination, and perseverance. 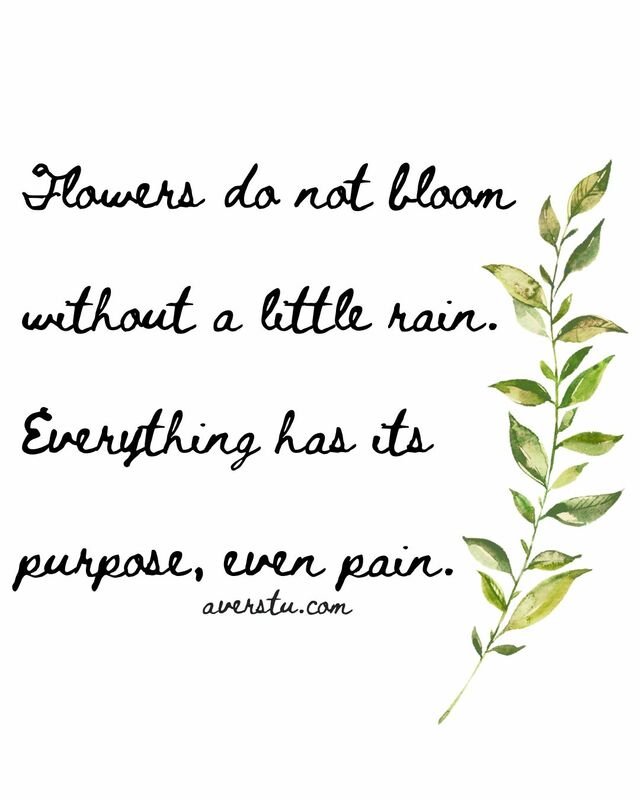 The elements of rain may cause downpour but the lessons can be taken to grow and bloom stronger leaves, stems, branches, and everything in between. Flooding drowns the plant if the plant does not soak up the lesson of the storm. God will not allow the flooding to overtake you but you must decide whether to learn or lose. There are lessons from the rain but you must allow growth. There is purpose for growth in the garden. Blooming is a struggle but you emerge stronger. So how are you going to grow?